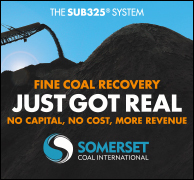 April 15, 2019 - Though some are bemoaning the bygone days when Wyoming’s coal industry ruled supreme, others are accepting the new normal of slowly declining coal sales and looking for new ways to move the industry forward. 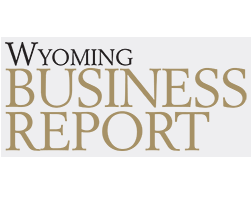 The future of coal and new, emerging carbon capture and sequestration technologies will be the focus of this year’s Wyoming Business Report Energy Summit, set for May 7-8 in Gillette. The two-day summit features some of the top minds in the field of energy, according to Roger Plothow, president of APG Signature Events and publisher of the Idaho Falls Post-Register. It will include keynote speaker Johathan Weisgall who, along with being vice president for legislative and regulatory affairs for Hathaway Energy, the parent company of PacifiCorp and Rocky Mountain Power, also serves as chairman of the board of directors for the Center for Energy Renewable Technologies and president of the Geothermal Energy Association. “Jonathan is one of the most knowledgeable people when it comes to understanding the future of energy and power,” Plothow said, noting that Weisgall’s extensive knowledge offers a unique glimpse into the future of private energy sectors. Landon Stropko, a Thermopolis native and former legislative director for Wyoming Sen. Mike Enzi, will present the view of energy from Washington, D.C. As a lawyer and energy lobbyist, Stropko will speak directly to the political landscape in the nation’s capital as it pertains to the future of the market. “(Stropko) comes with two perspectives, both as a Wyoming native and someone with experience in Washington and Capitol Hill,” Plothow said. Among other topics, Stropko will address what a divided Congress means for energy policy, including House Democrats’ oversight priorities and how these might impact the future of energy in Wyoming. He’ll also discuss President Donald Trump’s intentions leading into the 2020 election, as well as his insight into the future of climate policy in general. Richard Horner, director of emerging technology at the University of Wyoming’s Energy Innovation Center, will also speak on the topic of energy diversity. Horn is at the forefront of emerging carbon capture storage and sequestration technologies, and is an outspoken advocate for what he considers breakthrough technologies that will drive new market opportunities for Wyoming’s coal market. Kicking off the summit on May 8, Campbell County Commissioner Mark Christensen will discuss the future of what he refers to as the “carbon valley.” Christensen sees declining coal production as a good opportunity for Campbell County to diversify its coal market toward research and development, and invest in the future by recruiting top talent to develop these new emerging technologies. Along with speakers and networking, Plothow also encourages attendees to take the optional tour of the Integrated Technology Center (ITC) the first day of the conference, May 7. The brainchild of former Gov. Matt Mead, the ITC is the largest carbon capture research facility in the nation, and currently serves as the laboratory testing grounds for the teams of international researchers competing for the NRG COSIA Carbon Xprize. The Energy Summit was initiated by the Wyoming Business Report in 2014, and is produced by APG Signature Events, a division of Adams Publishing Group. 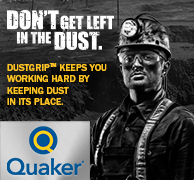 APG owns the WBR, Wyoming Tribune Eagle, Laramie Boomerang, Rawlins Daily Times and Rock Springs Rocket-Miner. The 2019 conference will be held at Equality Hall at the CAM-PLEX in Gillette, and will include panels and roundtable discussions, along with the featured speakers. To register and see a complete schedule of events, visit https://wyoenergysummit.com/.